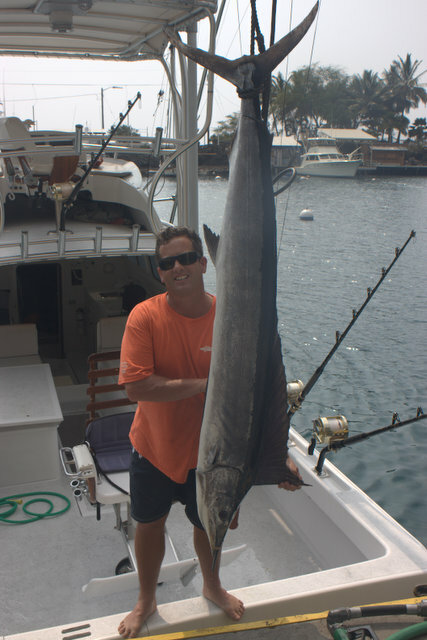 ← March 2013 Fishing Report – Big Ahis and Blue Marlin Are Here! The big ahi made a good showing this month! Usually, April is a time for really big blue marlin but even during the full moon the big girls never really showed. 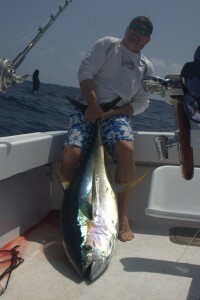 The lack of big blues was replaced by good amounts of big ahi and a lot of shortnosed spearfish. 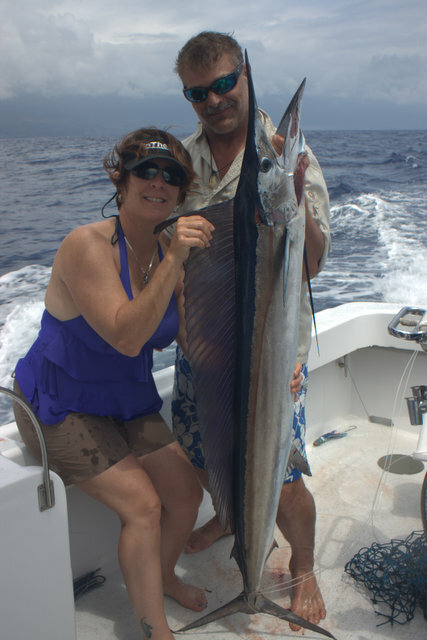 One of my really good clients Mark and April fished a few days during their stay and did really good on big ahi and April’s first short nosed spearfish! Mark is a writer for In the Bite Magazine and has fished the last three years with me and always seems to have good luck. Another client, Trent, fished last year and caught several really nice ahis. He came back looking for more big ahi but we settled for a monster shortnosed spearfish! 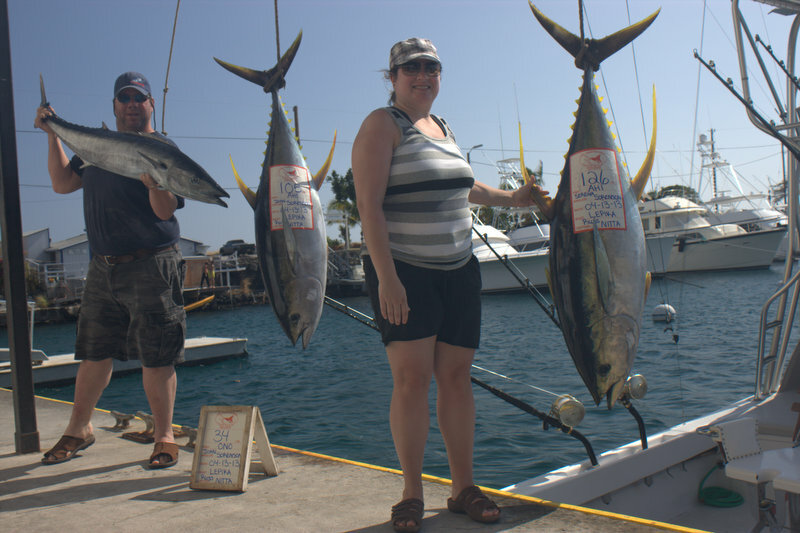 Tuna fever also brought back Seattle resident John and his wife Serena for more action. We were lucky enough to catch two big ahis and a bonus 34lb ono! This entry was posted in Fishing Kona, Kona Fishing Report, Uncategorized. Bookmark the permalink. November 18, 2013 Lucky Josh…Twice! November 15, 2013 Al and Gray’s Mixed Bag! November 12, 2013 Dion and his Lucky Girls! November 9 & 10, 2013 Ketchikan Capts. Score! November 5 & 7, 2013 Dennis Returns For More Ahi!